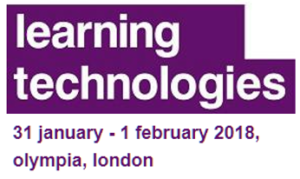 There’s a lot of buzz in the learning industry around Gamification. Some would argue (myself included) that the term gamification is watered-down by applying it to poor applications of gaming. 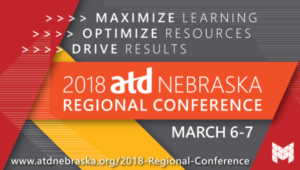 I think that’s why there’s a lot of discussion around “Game-Based Learning” and how it is different than what “Gamification” seems to have become. Gamification is often used in the context of “make a game out of it”, and it’s in that context that I think the term is losing it’s power. Taking content and putting it into a Jeopardy game board instead of a standard multiple-choice quiz might be a little more fun, and maybe it’s even more engaging if you add in badges or a leaderboard to add the motivation of accomplishment and/or competition, and there IS value in that. I just don’t see the “Make it a game” approach as something that adds much depth to the learning, as it’s missing a critical component: Play. That’s the difference between “Gamification” and “Game-Based Learning” in my mind. With game-based learning, the learning is embedded directly into the play by design. It’s not a case of bolting on gaming elements to enhance engagement. It’s a critical distinction that I think needs to be understood to truly appreciate the power of games for learning. Sometimes it helps me to see an example of a concept in action for it to really click. When it comes to games-based learning, that example came in the form of, of all things, turtles. More specifically, Robot Turtles. 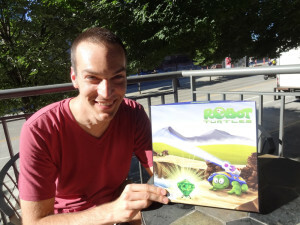 Robot Turtles is a game created by Dan Shapiro to teach young kids how to code. It’s geared for younger kids in general, but has a lot of flexibility in it so that it can be adapted to older and more experienced players. The simplified object of the game is to move your turtle around a board to capture a gem. You move your turtle using cards (Turn Left, Turn Right, Move Forward, and Laser). There are different types of obstacles that players need to navigate around on their way to the goal. At it’s core, that’s the whole game. But in practice it’s so much deeper. Let’s look at some of the specific actions that players engage in during the game. You’ll notice that there’s nothing in those actions, or in the game description, about coding. To me this speaks to the critical difference in game-based learning as compared to the general assumptions about gamification: the learning is embedded directly into the play. Robot Turtles isn’t a course on “How to Code” put into game form. It’s a game that teaches and reinforces coding concepts and skills through it’s play. Let’s look at the actions players engage in again. This time, I’m going to replace some of the words to emphasize the coding concepts that are taught through the game. 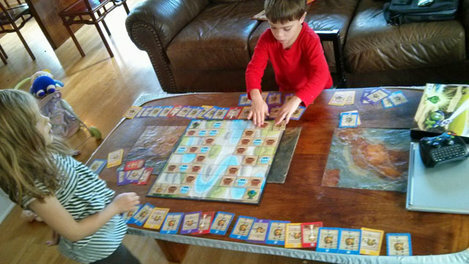 My kids love this game. Part of the reason they love it is that it’s not teaching disguised as a game; it’s a game. It’s a game that was specifically designed to reinforce coding skills through it’s play, and it succeeds tremendously towards that end. Watching my son and daughter play is wonderful. I can see the wheels turning as they place cards down, watching them execute the code in their minds. I see them collaborating when their codes conflict, each moving cards around so that both codes can be executed. I see them building different game boards, adding variables to work codes around, including some variables they have invented for themselves that weren’t included in the game. Robot Turtles is not teaching with a gaming facade. This is a game at heart, intentionally designed as an experience through which learning happens during play. To me, this is the lens through which we should be viewing game-based learning. 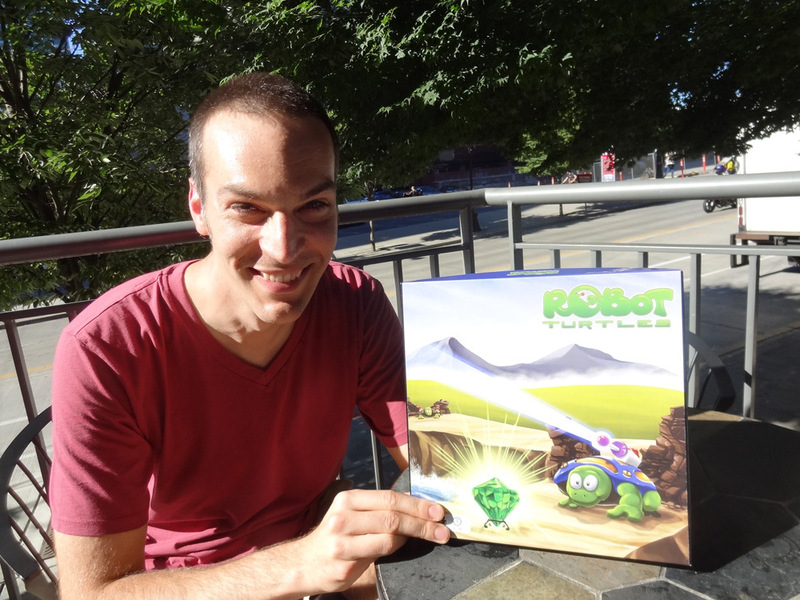 Robot Turtles is the best-selling game in Kickstarter history – with good reason. Here’s a great promo video showing Dan Shapiro and his kids playing and describing the game. While the Kickstarter is over, the game has been picked up by Thinkfun, and can be ordered here.